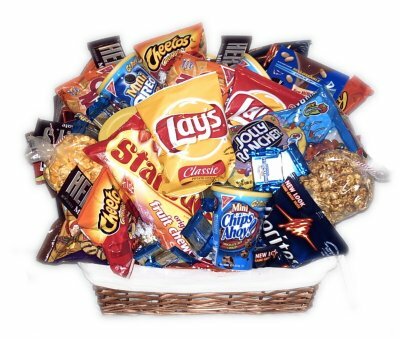 Huge junk food basket. Content will vary, but picture represents the size and variety you will receive. Half the contents can't be seen in this picture! Big enough to fill several bellies! Jumbo size is pictured.